A couple weeks ago I made Strawberry White Chocolate Gooey Bars and they were so darn good. And so easy. So I adapted that recipe and spun it into these lemony beauties. They’re like lemon bars on steroids. 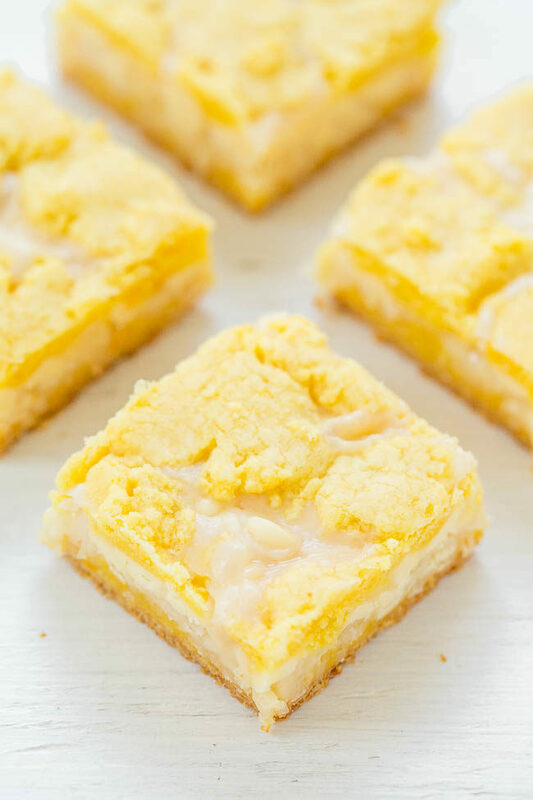 If you like lemon bars, you’re going to love these. It’s an easy, 6-ingredient recipe that will be a hit with lemon and white chocolate lovers. While you can taste the coconut, it’s not overwhelming, but if you’re truly not a coconut fan you could likely omit it and shorten the baking time by about 5 minutes, but I’m just guessing because I haven’t personally tried. 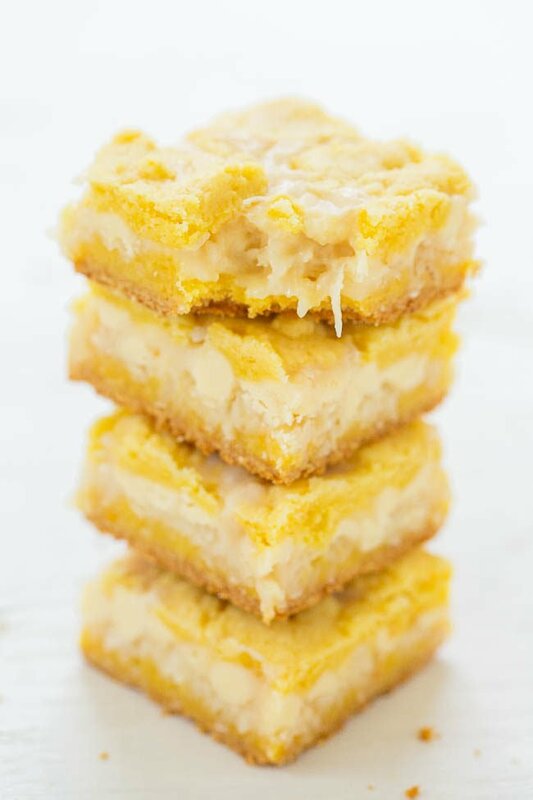 The lemon base is soft and chewy, there’s coconut and white chocolate chips for extra texture, and sweetened condensed milk keeps them juicy and moist. The bars start off with a box of lemon cake mix. If you don’t use cake mix or don’t have cake mix in your area, this may not be the recipe for you. Don’t follow the directions on the box because you’re not making cake – you’re making gooey bars – so follow my directions below. Because the bars will be loose and gooey as you take them out of the oven, make sure to allow them to cool for a few hours (overnight if you can plan ahead) if you want nice clean squares because they’re incredibly gooey right out of the oven. If you don’t care about presentation then dive right in as soon as the heavenly scent of lemon, coconut, and white chocolate is too much to resist. It’s an easy, 6-ingredient recipe that will be a hit with lemon and coconut lovers. 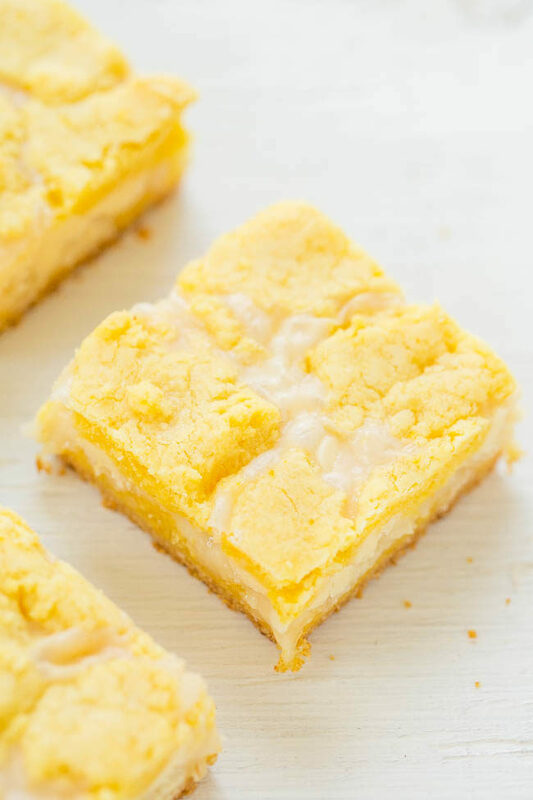 The lemon base is soft and chewy, there’s coconut and white chocolate chips for extra texture, and sweetened condensed milk peeks through the top. Don’t follow the directions on the cake mix box because you’re not making cake – follow my directions. Because the bars will be loose and gooey as you take them out of the oven, make sure to allow them to cool for a few hours (overnight if you can plan ahead) if you want nice clean squares because they’re incredibly gooey right out of the oven. Add the cake mix, egg, and beat on low speed to combine. The batter will be very thick. If it seems crumbly after beating for a few minutes, it will likely come together if you squeeze it with your fingers. Add between half and two-thirds of the dough to the prepared pan to form an even, smooth base layer (I used my hands); set remaining dough aside. Evenly sprinkle the coconut over the dough. Evenly sprinkle the white chocolate chips. Bake for about 27 to 30 minutes or until edges are set and the center is mostly set; it’s okay if it’s a little jiggly. I judged the doneness by looking at the edges and as they turned light golden brown, I removed the pan from the oven. Because coconut and white chocolate are prone to burning, keep a close eye on the bars in the final minutes of baking. Allow pan to cool on a wire rack for at least 2 to 3 hours (overnight is better) or until bars have firmed up enough to cut. Bars are best fresh but will keep airtight at room temp for up to 5 days or in the freezer for up to 3 months. 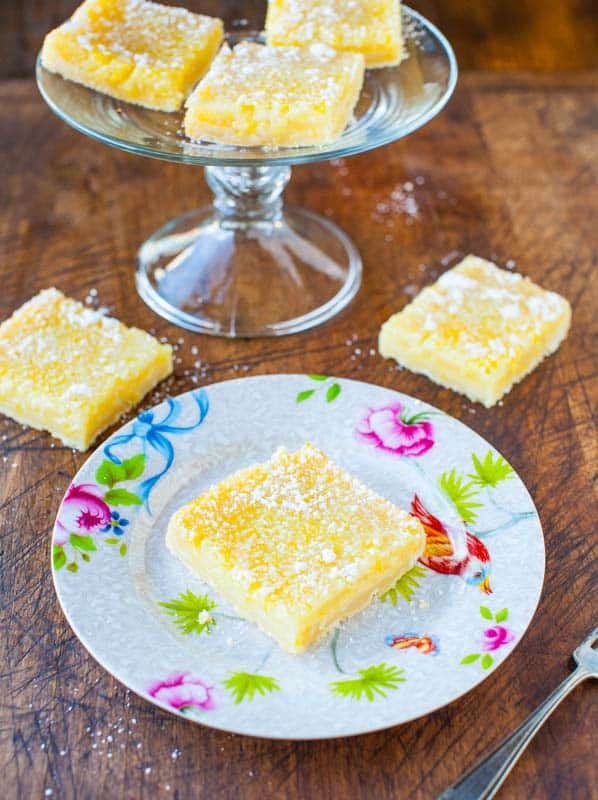 The Best Lemon Bars – Truly the best classic lemon bars I’ve ever had! 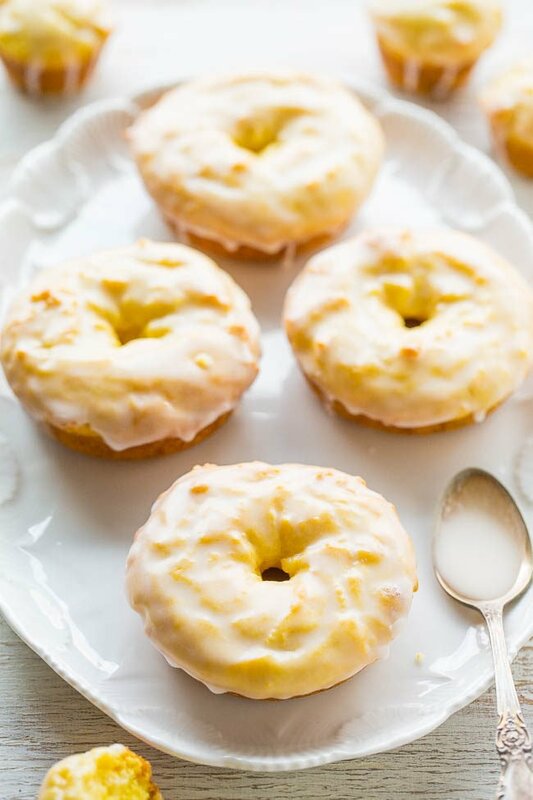 Baked Lemon Donuts with Lemon Glaze – They taste like the Starbucks lemon loaf, but in donut (or mini muffin) form!! 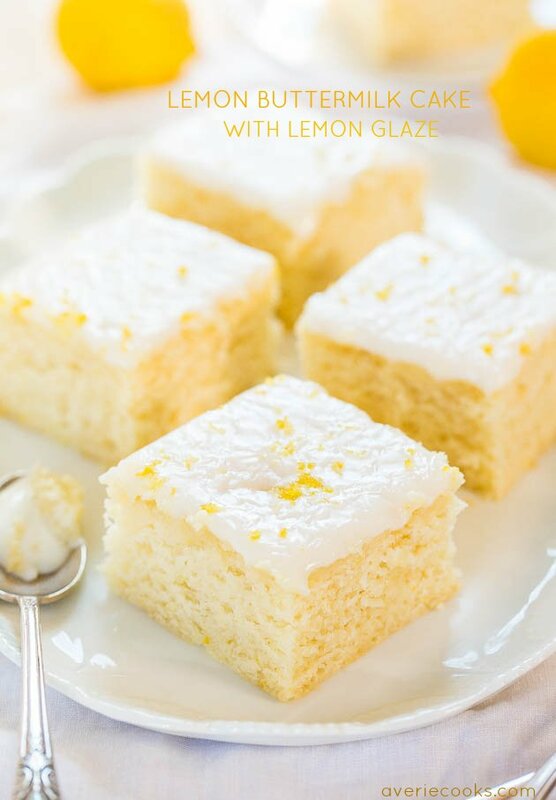 Easy, no mixer recipe with a tart-yet-sweet lemon glaze that’s perfect! 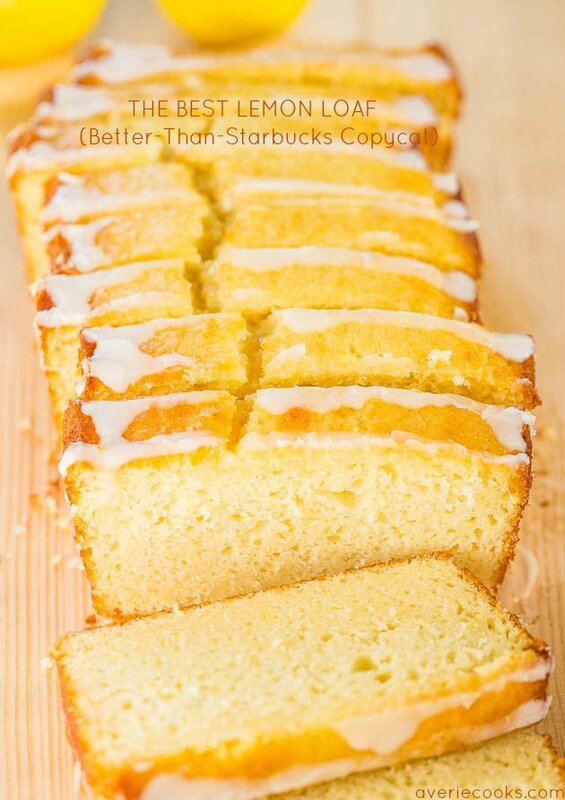 Lemon Buttermilk Cake with Lemon Glaze – An easy little cake with big lemon flavor!! Soft, fluffy, and foolproof if you like puckering up! 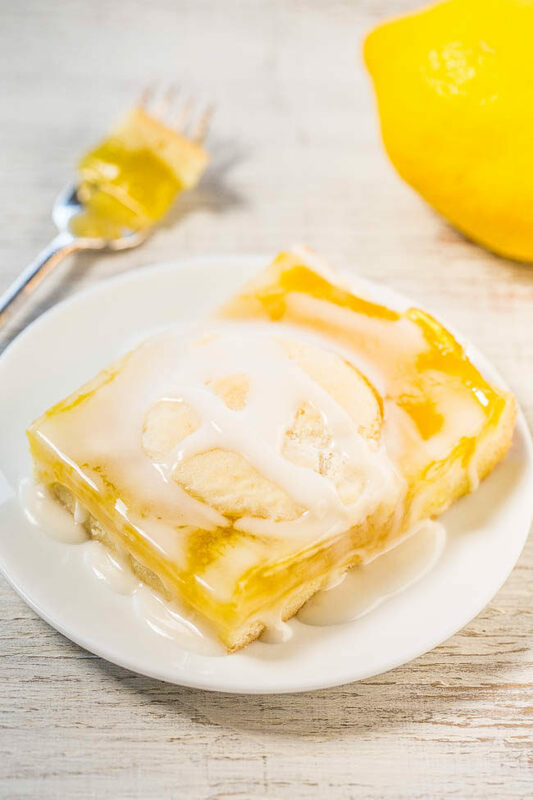 Glazed Lemon Pie Bars – Buttery soft crust with luscious lemon filling and a lemon glaze boosts the bold lemon flavor even more! 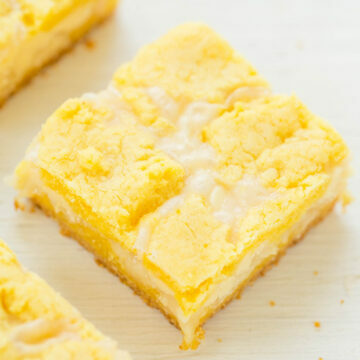 If you like lemon pie, you’ll love these easy bars that are so much easier than making pie! 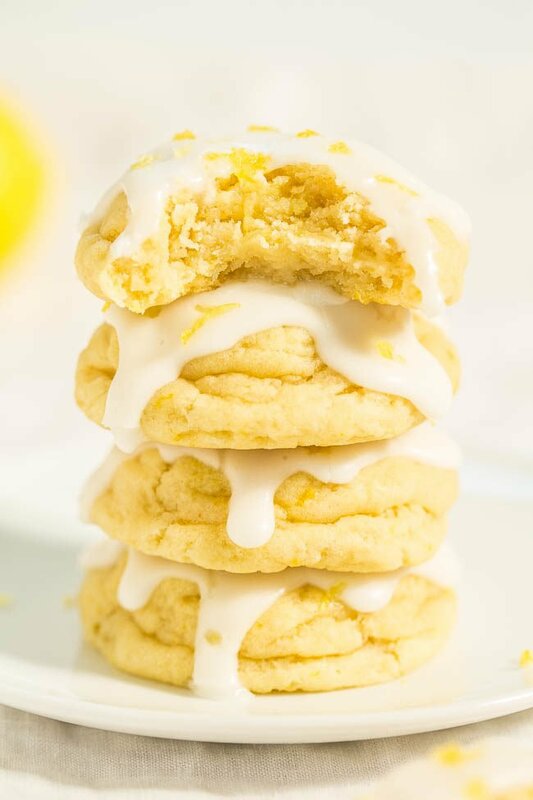 Softbatch Glazed Lemon Cream Cheese Cookies – Big, bold lemon flavor packed into super soft cookies thanks to the cream cheese! Tangy-sweet perfection! 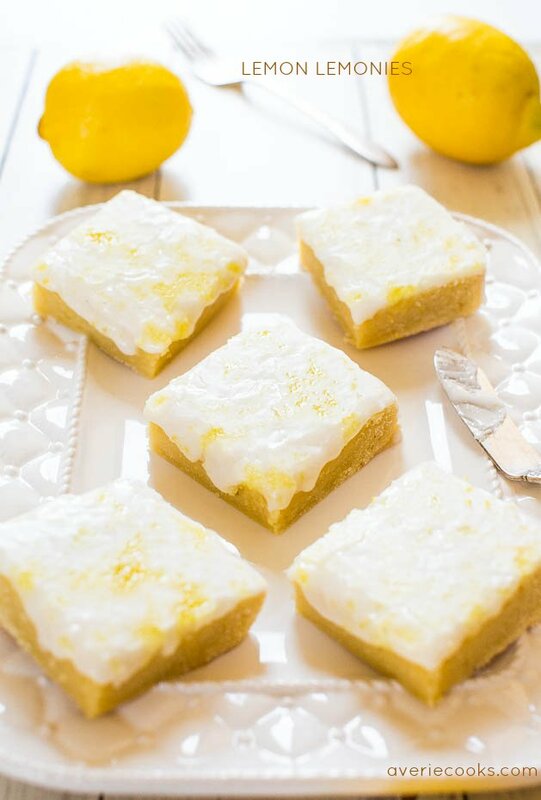 Lemon lovers are going to adore these easy cookies! 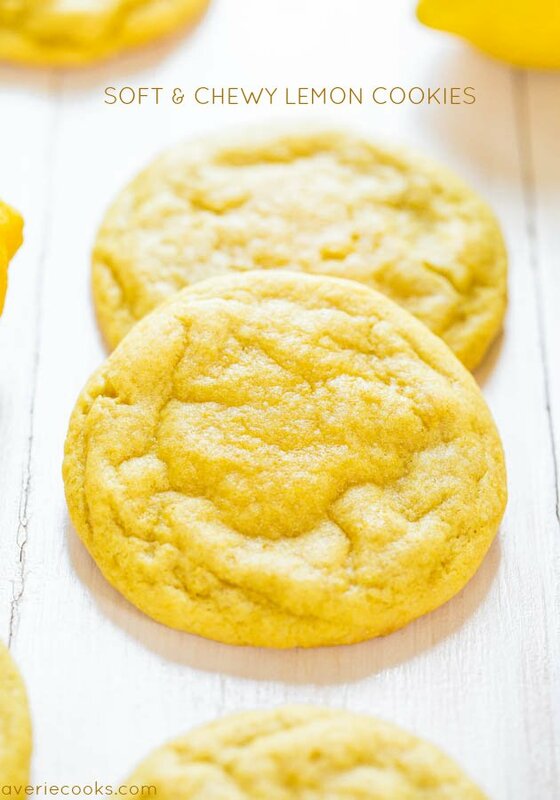 Soft and Chewy Lemon Cookies – Packed with big, bold lemon flavor for all you lemon lovers! They’re soft, chewy and not at all cakey! Thanks and yes bright and cheery this time of the year is the name of the game! These sound heavenly! I think I may have all the ingredients, too! 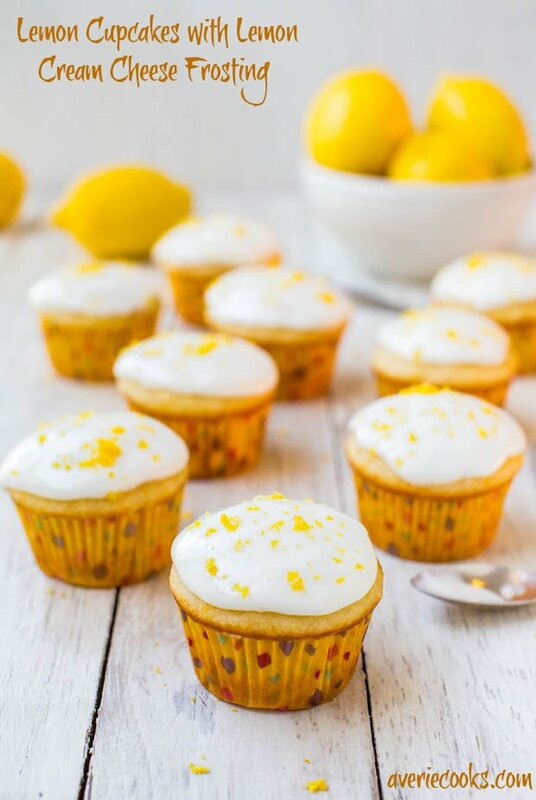 I’ve made the lemonies before and they are amazing!! These look even better with coconut! Pinned. hey girl- I would sooo love these! yummy! Oh. My. Goodness. Lemon is my absolute favorite. I’m so happy you came up with a lemon version!!! You KNOW I’m in love with these!! You are the gooey bar queen and you will always reign supreme! Haha about the green tinge! Funny I have never tried a key lime cake mix but can see that it could and would have a slight green tinge. Glad you enjoyed the gooey deliciousness of the bars! Perfect spring dessert! We loved these!